It’s sort of a stretch to say that the lack of technology in El Salvador is hampering the war against the Zika virus. But having more people with internet access would certainly help. Government turns to the internet to provide information on health and safety but in a poor country like El Salvador, where only slightly more than 20% of the people have internet access and 15% cannot read, it doesn’t do a lot of good to tweet to try to educate the people about the dangers of Zika and how they can help get rid of the Aedes aegypti mosquito. You probably know by now that Latin America is reeling from this epidemic, the horrible effect of which is that pregnant mothers have a very high chance of giving birth to children whose skulls are grotesquely shrunken. Now doctors have discovered that the virus causes blindness too. Not to be macabre, but it’s as if Satan has been down in one of the nine circles of Hell brewing up something medieval. These poor children are going to be ruined for life - nothing could be sadder. Brazil is where news of the virus first surged onto the front page of the world’s newspapers. But El Salvador could be its most pathetic victim. There is no vaccine for Zika. The best measure to take now is to teach the people to dump out standing water so that does not become mosquito breeding ground. 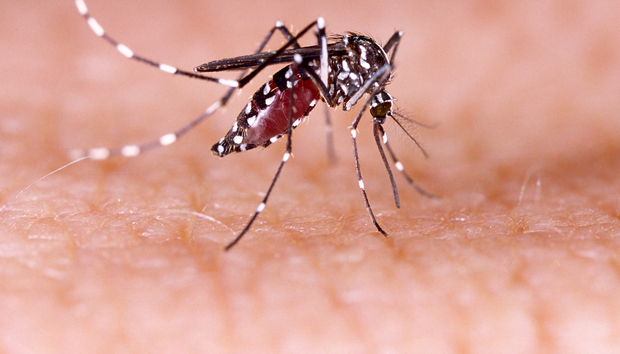 Mosquitoes, called Zancudos in Spanish, need standing water to grow their eggs. So the people in this rainy country need to clean up discarded tires. Large parts of El Salvador are covered in trash as are other countries down here. Ten per cent the people of El Salvador even have potable water. You cannot get Zika by drinking dirty water, but a few cases have been sexually transmitted. What the government is doing now is using the internet plus going door-to-door, placing spots on TV, radio, and in the newspaper, putting up flyers, and fumigating. News, of course, is spread by social media too especially where there is a gap in official communications. As I wrote here before, in Mexico people warn each other of cartel hotspots because the newspapers are censoring that information due to government threats or are afraid to do so. In the absence of any great idea, frustrated government officials in El Salvador have come up with some ridiculous and pathetic measures. The Vice Minister of Health, Eduardo Espinoza, said that women should avoid getting pregnant for the next two years. Predictably, that counsel was mocked around the world. Look at the Facebook page of the Department of Health to see something that is truly pathetic and sad. Dr. Violeta Menjívar, the minister of health, gives reporters a tour of a hospital where, in a scene right out of the jungles of The Bridge On the River Kwai, she shows that the hospital is putting mosquito netting over the beds of pregnant women. Obviously, there are not supposed to be mosquitos in the hospital but many hospitals in El Salvador do not even have air conditioning. Governments in the region have even broached the idea of allowing aborting the fetus rather than bringing such a damaged child into the world. But that is not likely to go far as therapeutic abortion in Latin America is only legal in Uruguay and such legislation is bottled up in Chile. The upper classes, who write the rules in lots of countries here, are decidedly Catholic, even Opus Dei Catholic, and are emphatically opposed to any changes in that. I started this article by saying that people do not need to rely on the internet to get the word out but social media can really helpful for doing so quickly. The real problem in El Salvador with internet access is there is a cosy hegemony of wireless and wired providers—Digicel, Claro,Tigo, Movistar—who charge too much for their service and have no economic incentive to put cell towers or fiber optic lines into small communities. And the poor can pay more than the wealthy, because the poor cannot afford contract plans. The annual income in El Salvador is about US$3,500. Poor people do not have a contract data plan from the wireless carriers because they have no pay stubs or checking accounts. Instead they pay by the minute which costs a lot more. Cell phone calls are so expensive that people often call each other and hang up right away in a kind of ring-click-hang-up Morse code that alerts the recipient that the caller needs to get in touch via other means. But on the positive side some of these companies offer WhatsApp for free. While Google is trying to put balloons in the air to give ground stations an antennae, something that is more widely available here now is the spread of WISP internet where services rely on wireless networks rather than cellular or conventional telco copper or fiber links. This helps solve the problem of sparse coverage due to too many mountains and other obstructions, and the high cost of putting up cell towers everywhere. WISP networks are available in Mexico, El Salvador, Chile, and even the horse country of wealthy Virginia in the US where local opposition and not geography limits the cell signal. You can think of WISP as long distance Wi-Fi or WiMax. Soyjapi is a WISP provider in El Salvador. The signal can travel 15 kilometers if there is nothing in the way. It works by a ground-level radio instead of using a satellite. So part of the link is microwave and the last mile is line-of-sight radio. Zika: Can a faster sequencing diagnostic tool help? « What will the workplace of 2026 look like?